Today is our last Black History Month Woman Crush Wednesday honoree, so we made sure we delivered a powerhouse. Kerry D. Chandler is the Chief Human Resources Officer for one of the fastest growing sports brands in the world, Under Armour, and she takes her job seriously. As the Chief HR Officer, Chandler is responsible for all Human Resources strategy and operations. That means she oversees talent acquisition, organization and development; performance management; compensation and benefits; employee relations; and budget for Under Armour’s entire global team. Her climb to the top of Under Armour has been a shining example of the power of taking leaps of faith and daring to do work you’re passionate about. She has worked for mega-companies like Exxon, Motorola, ESPN, the NBA and Christies, and in each business she has understood the important role that human resources plays in developing and sustaining company culture and public image. 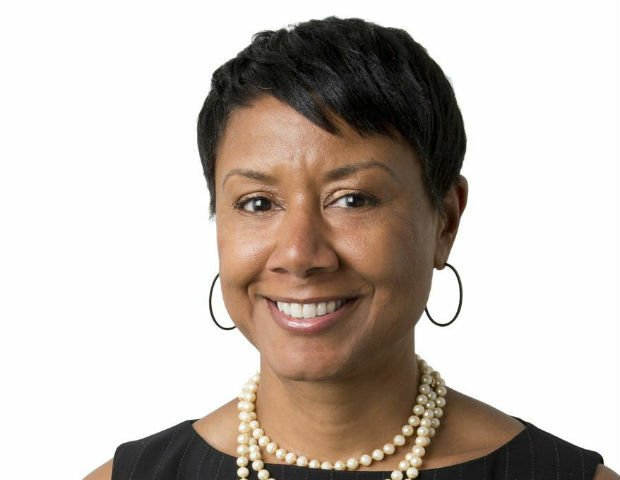 The Lincoln University, Washington University and McGill University graduate understands the lack of diversity that exists in executive positions in major companies and in sports, so she takes every opportunity possible to offer her unique perspective as a woman and African American in spaces that don’t always consider minority voices and experiences. We’re so proud of and inspired by the work that Kerry D. Chandler is doing and we can’t wait to see where she goes next!